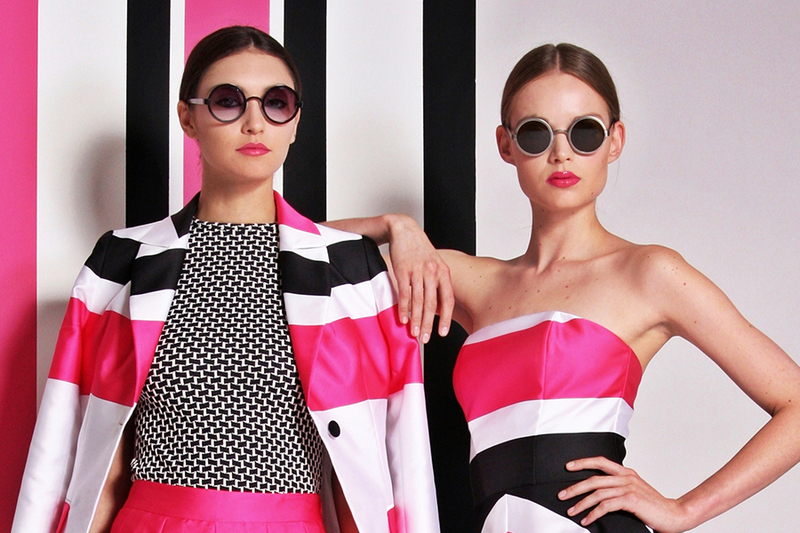 Christian Siriano previewed his first resort collection in New York recently, and Hourglass makeup artist Oz Rodriguez created the accompanying makeup look. Inspired by abstract art, Siriano applied bold stripes of color to his effervescent daywear and even to some of his eveningwear. The beauty look played up flawless skin, polished brows and flushed cheeks. For the vivid lip color, Oz mixed three Hourglass products: Femme Rouge® Velvet Crème Lipstick in Ballet, Opaque Rouge Liquid Lipstick in Edition topped off with a lick of Extreme Sheen High Shine Lip Gloss in Icon. The resulting shade is a pink so electric it makes you think—of a tropical escape during the winter season. Exactly what the cruise collections call for.